VARIETY.COM: Lionsgate has set a Veterans Day weekend release date of Nov. 8, 2019, for Roland Emmerich’s World War II action movie Midway, opening on the same date as the 25th James Bond film. The slot is also already occupied by Paramount’s Sonic the Hedgehog in addition to MGM’s Bond movie. MGM is expected to vacate the date since the project currently doesn’t have a director following Danny Boyle’s recent departure. Patrick Wilson, Woody Harrelson, Luke Evans, and Mandy Moore are starring in “Midway.” Wilson will play Edwin Layton, the rear admiral in the U.S. Navy who was part of the intelligence team that correctly pinpointed the location of the Imperial Japanese Navy’s attacking fleet near Midway Atoll in 1942. The damage to the Japanese fleet was so extensive that it never recovered and military historians regard the battle as a turning point in the war. Harrelson is portraying Admiral Chester Nimitz, the commander of the Pacific Fleet during the war. Evans will play Lieutenant Commander Wade McClusky, who led a crucial aerial attack that caused the sinking of two of Japan’s fleet carriers in the battle. Dennis Quaid, Nick Jonas, Luke Kleintank, Keean Johnson, Etsushi Toyokawa, Tadanobu Asano, and Jun Kunimura round out the cast. Emmerich is directing from Wes Tooke’s script. He’s producing the pic with longtime partner Harald Kloser. Starlight Entertainment Group and its partners are financing the film. Lionsgate is on board to distribute domestically, while Bona Film Group will distribute the movie in China. Principal photography started Wednesday in Hawaii. Emmerich, Eckhart, and other members of the cast and crew celebrated Tuesday night with the financers of the film — Starlight Culture Entertainment, Emei Film Group, and Xiao Chong Shan International Culture Media — at a ceremonial camera unveiling at Turtle Bay Resort, in Kahuku, Hawaii. The news about the “Midway” dating was first reported by Deadline Hollywood. PARADE.COM: It can be a bit difficult to tell that Mandy Moore and Milo Ventimiglia, who play a husband and wife on TV’s This Is Us, aren’t actually married in real life—or that all the actors in television’s most emotionally affecting intergenerational family aren’t actually a real family at all. Moore and Ventimiglia play Rebecca and Jack Pearson on the Golden Globe–nominated hit NBC drama, which tells the touching, often wrenching story of the close-knit Pearson clan in heart-rending flashbacks as well as in the present day. PEOPLE.COM: Mandy Moore is remembering her late ex-boyfriend Adam “DJ AM” Goldstein nine years after his shocking death. Goldstein was found dead at age 36 in his New York City apartment on Aug. 28, 2009. He died of a drug overdose, according to CNN. Moore and Goldstein, who had known each other for years, started dating in early 2007 after reconnecting at a New Year’s Eve party in Miami. Their breakup — two months later in March 2007 — “was mutual,” an insider told PEOPLE. Moore and Goldstein remained friends despite the split though. In fact, in 2008, Moore flew to the Joseph Still Burn Center in Augusta, Georgia, to see Goldstein after he survived a deadly plane crash with Travis Barker. Following Goldstein’s 2009 death, his former fiancée Nicole Richie, and his friends Lindsay Lohan, Samantha Ronson, Eric Dane and Rebecca Gayheart all attended his memorial at the Hollywood Palladium. Mandy was unveiled as an ambassador for Fossil watches earlier this month. I’ve added promotional images and screencaptures to the gallery. You can watch the video below. There’s also a lovely interview with Elle magazine which you can read here. With thanks to Neide at So Lively, I’ve replaced a gorgeous photoshoot of Mandy’s from 2007 with much better quality pictures. The gallery has been updated with lots of HQ images of Mandy at events in June and July. I still have a lot to sort, so check back in the coming days. In the meantime, thank you for your patience. 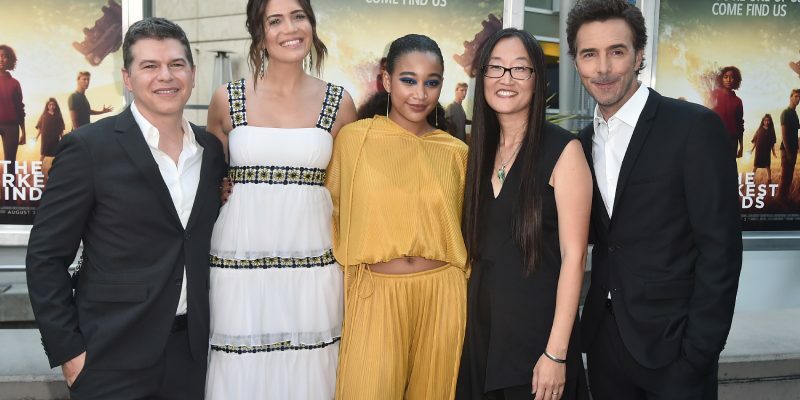 PEOPLE.COM: While This Is Us has been busy changing our lives and making us weep, it’s been doing the same for its cast members. Moore, 34, plays Rebecca Pearson alongside on-screen husband Milo Ventimiglia (Jack Pearson). The TV mom-of-three recently revealed she knows how the show will end. “I think the ending will be very satisfying for people,” Moore said on Jimmy Kimmel Live after telling host Jimmy Kimmel that creator Dan Fogelman told her how the hit NBC series will conclude. Though she couldn’t go into any more detail than that, Moore did speak to PEOPLE about the upcoming season, which premieres Sept. 25 on NBC. In the wake of the loss of Jack, “we see the kids are just about to go off to college,” Moore shares. Playing Rebecca has given Moore the opportunity to “grow and stretch as a human and as an actor” in ways she hadn’t expected, but was hoping for. Find out what’s next for the Pearson family in PEOPLE’s new special issue, The Complete Guide to This Is Us, which includes new interviews with the cast and creators and exclusive photos. Available on Amazon and wherever magazines are sold. This Is Us season 3 kicks off on Sept. 25 on NBC. If you need to catch up, season 2 will be available on DVD on Sept. 11. 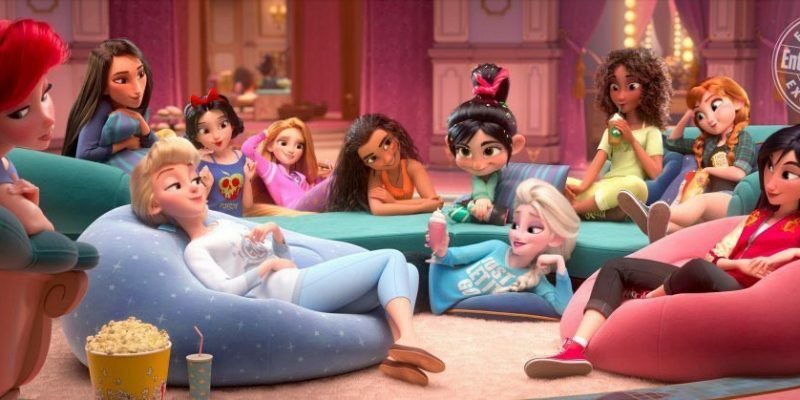 EW.COM: If the secret lives of video game characters were explored in 2012’s Wreck-It Ralph, November’s animated sequel Ralph Breaks the Internet — which hotwires arcade heroes Ralph and Vanellope onto the web in search of a replacement game part — reveals the surprising furtive life of another group: Disney’s iconic princesses. PEOPLE.COM: Mandy Moore does not consider herself a fashion muse, but the multi-hyphenate star has been influencing fans with her style choices since the early aughts. (Never forget her pop star days!) Fast forward to 2018, and Moore’s sitting front row at Paris Couture Fashion Week and commanding the red carpet as she promotes her hit, Emmy-nominated show This Is Us. The 34-year-old isn’t only having a moment, she’s in the middle of a Moorenaissance and shows no signs of slowing down. Her latest gig? Teaming up with Fossil as one of their new celebrity ambassadors alongside Riverdale‘s KJ Apa. While she loves the polished vibe a watch gives any outfit, Moore confesses that she’s not a huge jewelry person. “It’s funny because I obviously love jewelry, and I have a job that lets me wear a lot it, but in my down time, I wear a little bit,” the star says. She also never considered herself to be an engagement ring kind of girl, until Dawes frontman Taylor Goldsmith proposed to the This Is Us actress with a custom Irene Neuwirth ring. “I would say my most meaningful piece [of jewelry] is my engagement ring. That’s something that I try to wear every day. I don’t wear it to work or anything obviously, but it’s something I never really thought that I would want,” Moore tells PEOPLE. Goldsmith and Neuwirth customized the ring featuring a gorgeous, round flat diamond on a rose gold band.